Kagura has always held a grudge against Jellal, but he just saved her life and now she's going to return the favor. Lucy either fights by kicking or outsmarting her opponents. 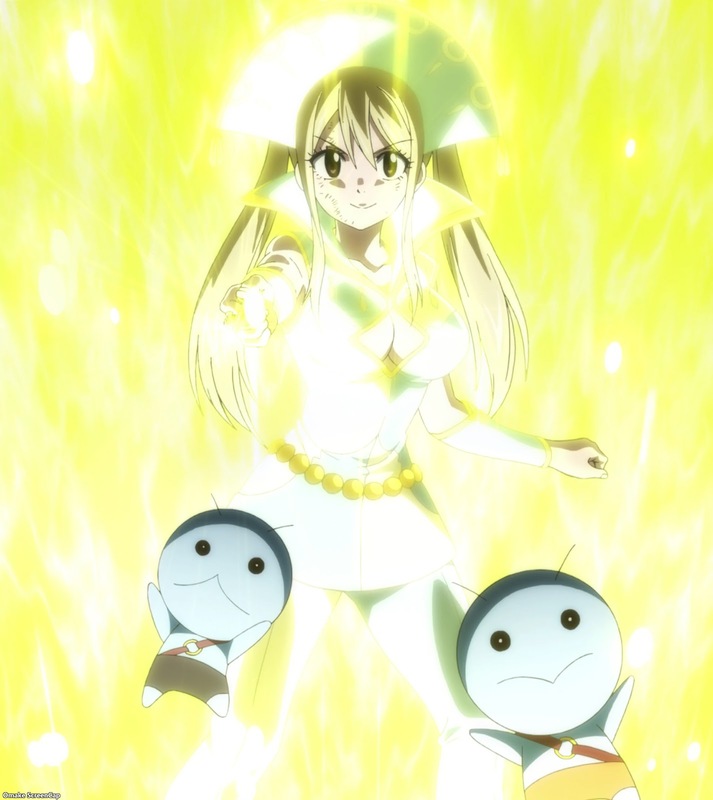 This time, she did both to Jacob, by making him release Brandish's minion and using Gemini to duplicate his power to nullify all spatial magic, rescuing all the Fairy Tail Guild members Jacob imprisoned. Neinhart's Historia power is bringing back to life everyone's toughest opponents. Erza is going to have a tough time against Ikaruga, Kyouka, and Azuma.